You’ve seen the movie “First Man“ and the idea of space exploration captures your imagination. SJU Library can help fill the void! We have books (and e-books!) 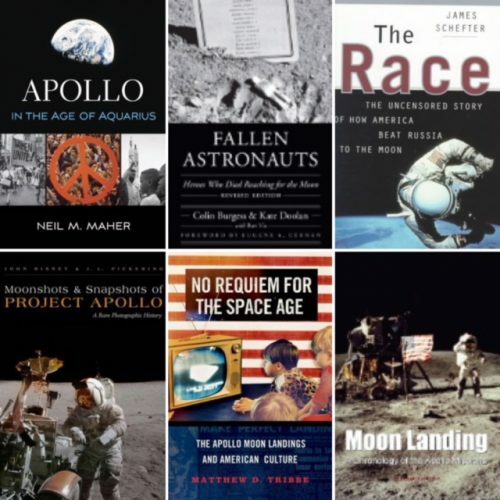 on the Apollo project and the race to the moon. Our latest book display features the furtive world of espionage in, “CLASSIFIED: Spies, Double Agents, and Informers.” Ranging from intrigue in the Court of Henry VIII and the Vatican, to spies on both sides of the Civil War, from Allied intelligence during two World Wars to the Red Scare and beyond, this collection gives some insight into the minds of men and women who lived secret lives to serve, protect, and sometimes, betray their nations. You can browse the list of “CLASSIFIED” books from home, although not all book jackets will be visible. Better yet, stop by, take a look, and check one out! Our display can be found on the 1st floor of the Post Learning Commons between the elevator and the lounge for at least the rest of October. This display curated by Susan Clayton, Circulation Services Manager. 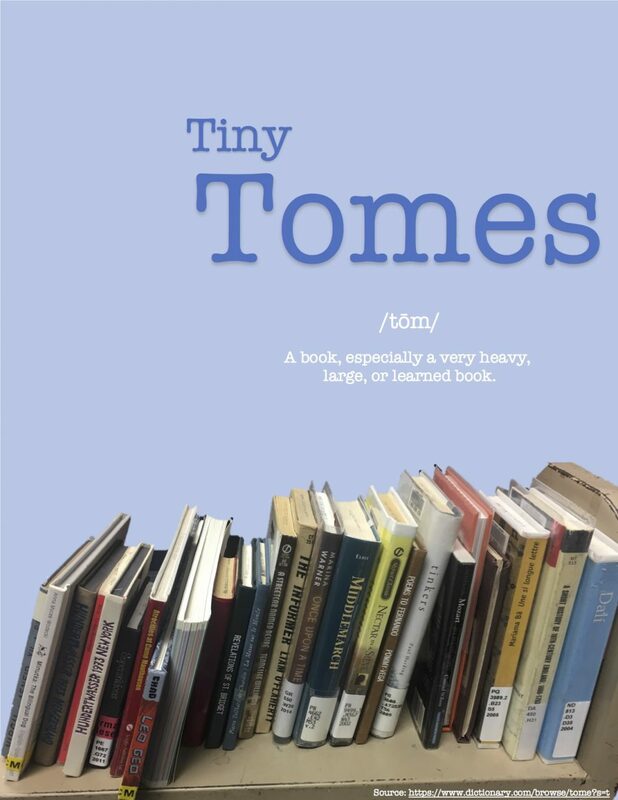 “Tiny Tomes” — or — you can’t judge a book by its size! Curating a book display is limited only by the imaginations of those creating the display. Sometimes a suggested topic corresponds with a season while other times it corresponds to a campus initiative. And then there are those special times that our own creative juices get flowing and we pull together a display of books that are unrelated except for one characteristic. Our latest display is ones of those times and in this case, we bring you “Tiny Tomes,” a sampling of our smallest books. 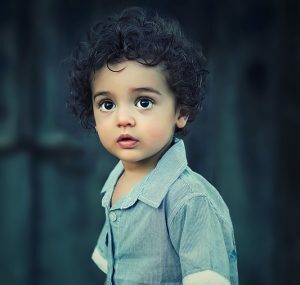 With size being the common denominator, book topics range from history, to poetry, to spirituality, to literature, as well as several others. While most books are from the main collection, the Curriculum Materials Center (CMC) is also well represented in the new display. You can browse the list of Tiny Tomes from your cozy armchair, although not all book jackets will be visible. Better yet, stop by, take a look, check one out! Display can be found on the 1st floor of the Post Learning Commons between the elevator and the lounge for at least the rest of September. Our newest book display has a bit of a twist. 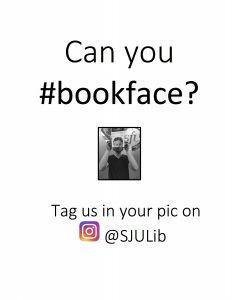 All the books you’ll find there can be used for #bookface photos which can be posted to Instagram, Twitter or Facebook. #BookfaceFriday is especially popular on Social Media. 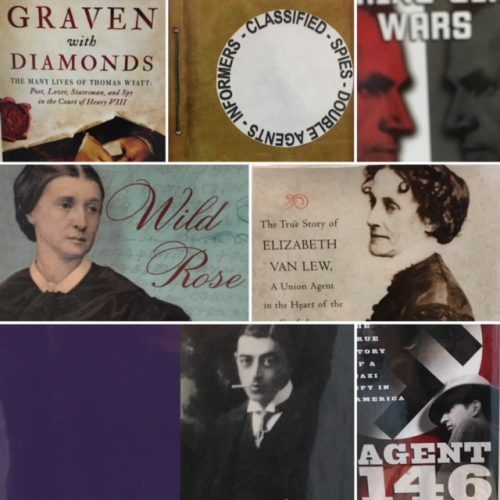 If not already familiar with #bookface, next time you have some down time, search for yourself to see the creative things done with book cover images. 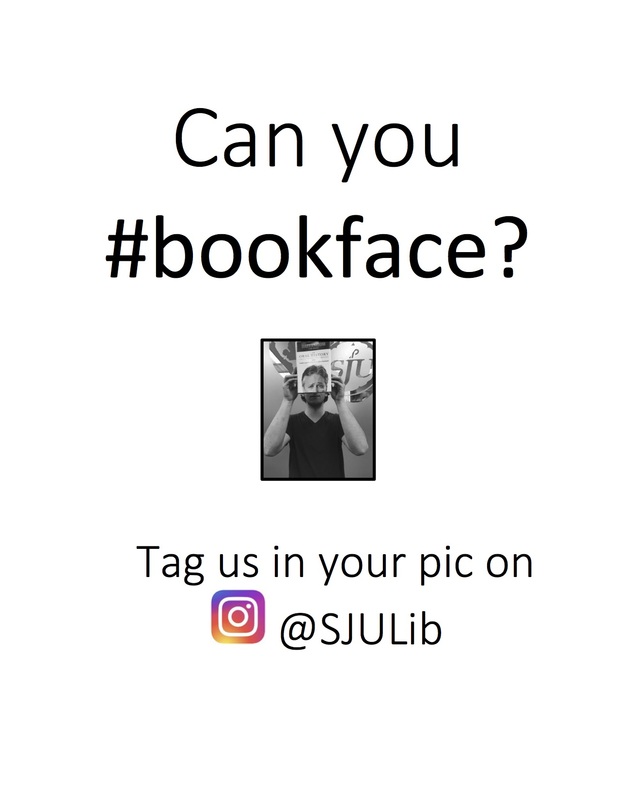 If this looks like fun to you, feel free to use any of the books in our display to create your #bookface photo. Books were selected from various areas of the collection resulting in a variety of options to choose from. All books in the display are available for checkout! This book display curated by Marian Courtney, Library Operations Manager. Recent films like The Revenant, Les Misérables, It, and The Fault in Our Stars all have one thing in common. Each film was first a popular book. 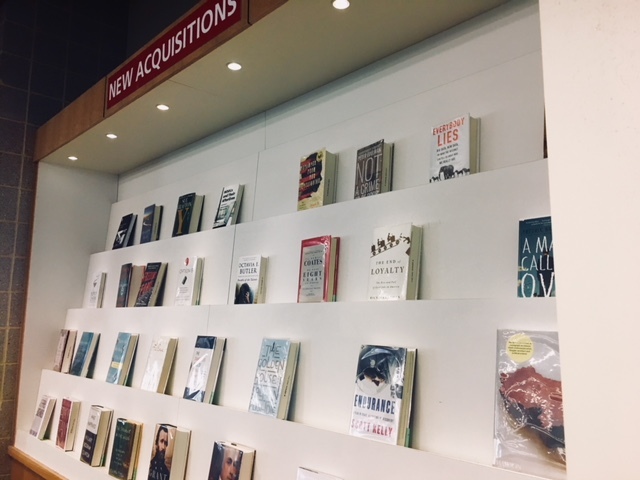 May’s book display on the first floor of the Post Learning Commons features several popular novels made into acclaimed films. 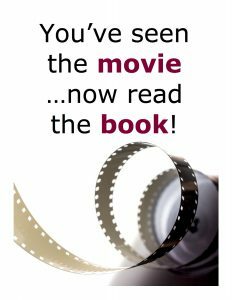 You’ve seen the movie…now read the book! will be up now through the end of June. 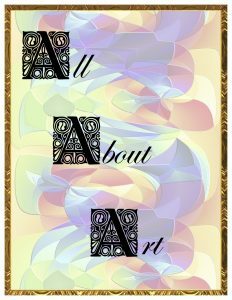 Please stop by and browse if you need a little breather from studying. Or, better yet, check one out to read after finals! 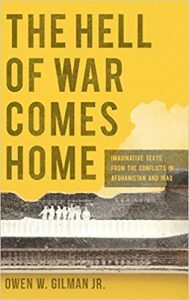 “What We’re Reading” is a feature offering reviews from the Drexel Library staff about the books we’ve read. 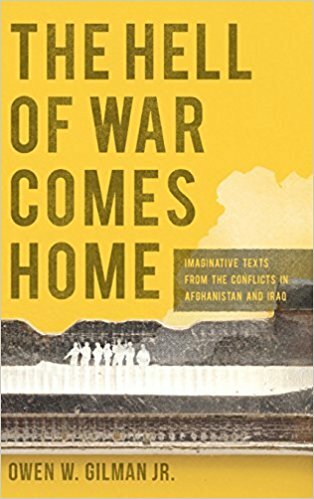 If you find a book which interests you and it is not in our collection, please feel free to acquire the book through our Interlibrary Loan service. Busted is an insightful look at the world of investigative reporting written with a flair that belies a perception of how you might think a book on police corruption or any kind of investigative reporting might be like: boring. It is far from it. Wendy Ruderman and Barbara Laker have written a page-turning book where the players are treated with a humanistic approach peppered with objective reporting and subjective humor and compassion for both perpetrators and victims. It’s easy to see why they won a Pulitzer Prize. Busted: A Tale of Corruption and Betrayal in the City of Brotherly Love can be found in the popular reading section on the first floor in the Post Learning Commons. To support our visual arts and art history department, the library collects a wide variety of materials about traditional and contemporary artists, art movements and techniques. Typically tucked away on the third floor in our oversized collection, you will find books about digital and traditional photography, ceramics, painting, drawing, sculpture and art history that are visually pleasing as well as thought provoking. To find some inspiration for your own creations or to escape for a few moments during final exams, please stop by to browse our current display, All About Art. This display curated by Laurie Palumbo, ILS Administrator/Catalog Librarian.